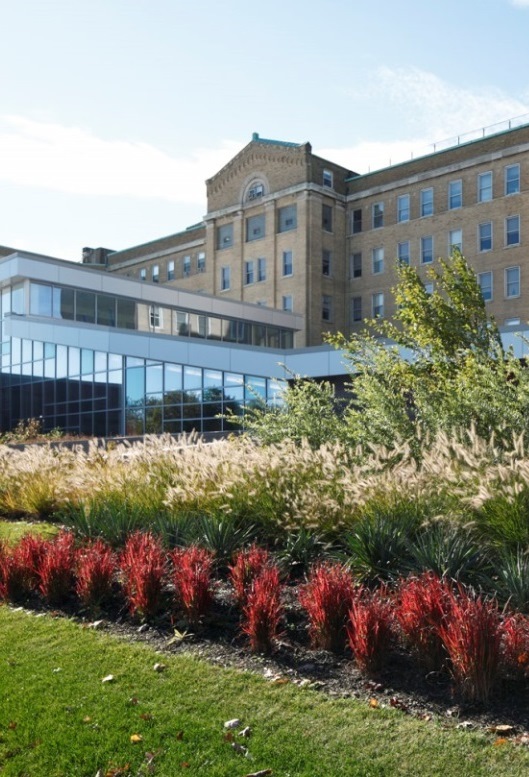 Within a new Emergency Department addition to Mercy Hospital of Buffalo, the intersection of Abbott Road and Lorraine Avenue underwent a makeover to accommodate both vehicular and pedestrian circulation. 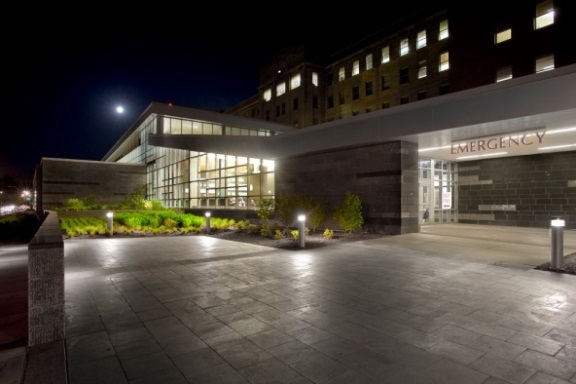 Because the entry was directly across the street from the Frederick Law Olmsted designed Cazenovia Park, it was important to carry the feeling of the park into the design of the hospital entry.The significant grade changes were accommodated by retaining walls and sloped walks interspersed with seating areas and plantings. 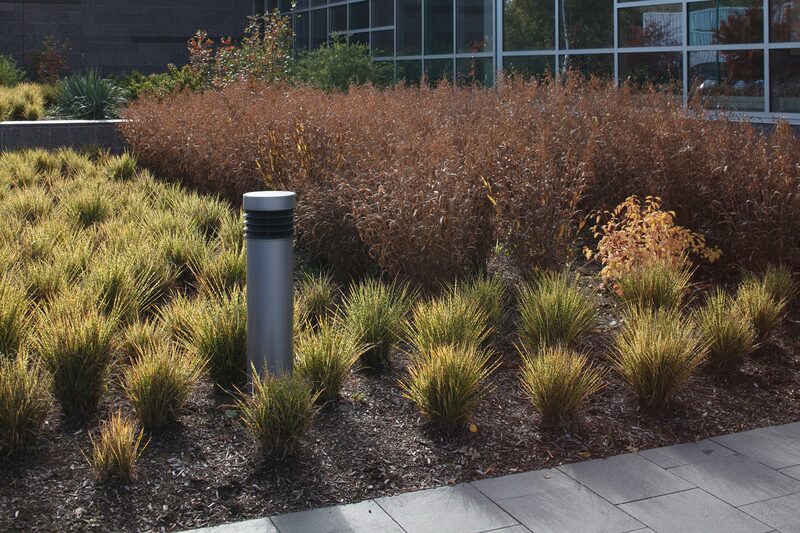 The garden was designed to act as a respite for patients and their family members, nurses, doctors, and hospital staff. The walls allow the development of a garden at the highest point of the entry that provides the interior waiting area with a viewing garden and a visual screen from passersby. 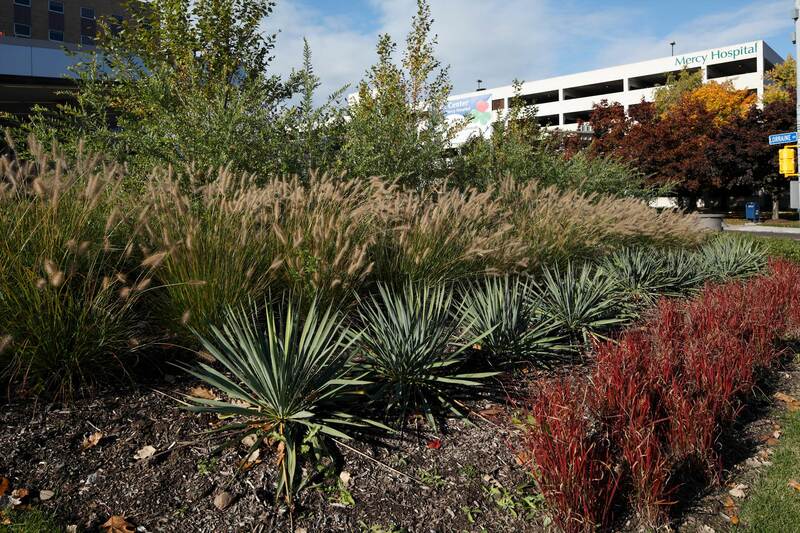 The area uses natural stone pavers, wood benches, various lighting elements and native plantings to provide long lines of textures with a variety of seasonal interest. 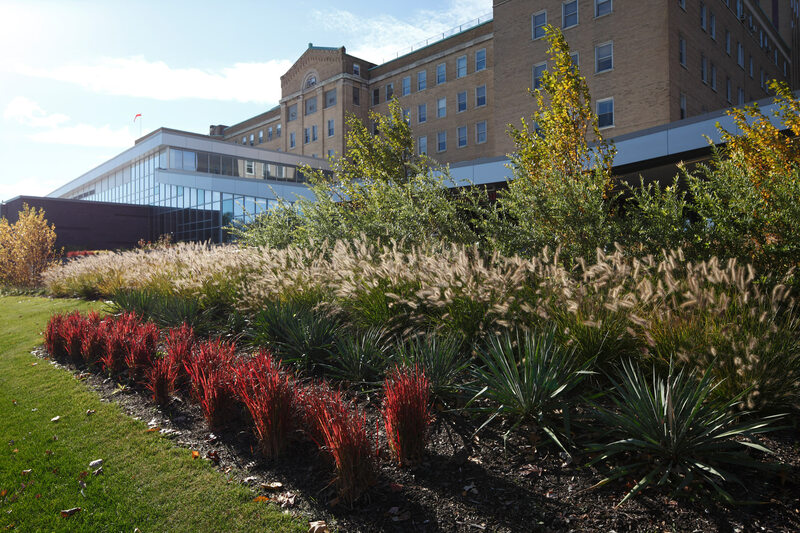 The new entry for Mercy Hospital serves as an extension of the outdoor environment into the hospital, for its visual qualities, enhancement of the architectural addition and style, and for the healing benefits nature has on people. This main entry of the hospital needed to be redeveloped to accommodate the eight foot of grade change from the city sidewalk to the emergency room entrance. A new drop-off loop was developed to accommodate up to ten vehicles.The main pedestrian entry took advantage of the grade change by using decorative stone walls that complement the new building materials, to balance soil elevation and to create a unique experience for the user.